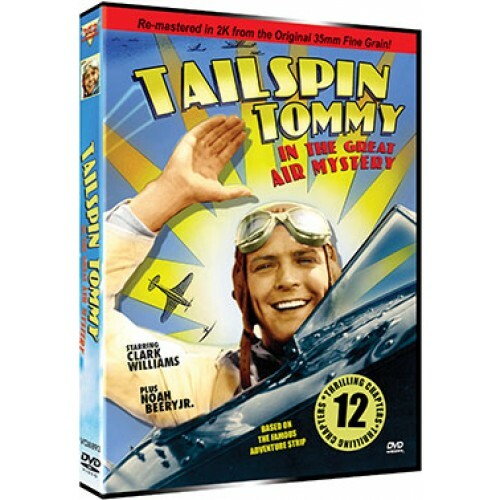 Tailspin Tommy is back in a second explosive serial filled with non-stop action, nail-biting suspense, thrilling stunts, and unbelievable special effects. 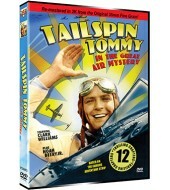 Tommy and Skeeter try to foil an unscrupulous plan concocted by Manuel Casmetto and Horace Raymore to steal Nazi Island’s valuable oil reserves. They are fortunately aided in their efforts by Bill McGuire, a newspaperman who poses as Raymond’s right-hand man, as well as pilot Milt Howe. The young navigators fight their way through a myriad of life-threatening events including erupting volcanoes, exploding planes and time bombs, head-on collisions, flooding cells and even being attacked by savage native islanders. In the tradition of all serial adventures, however, Tommy and Skeeter not only survive in one piece, but defeat the bad guys, become heroes, and even land a movie contract.